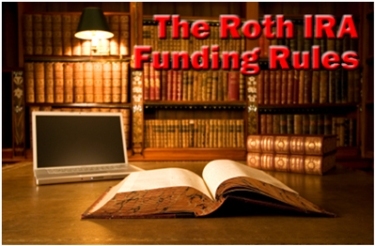 What are the Roth IRA funding rules? 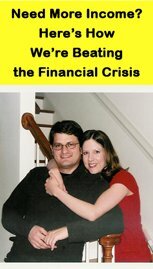 Can anyone contribute to a Roth IRA, or is it restricted? These are great questions. Fortunately, most people can contribute to a Roth IRA. Assuming you meet the Roth IRA income limits established by the IRS, you need to take note of the following funding requirements. Let's look at each of these Roth IRA funding rules individually in order to gain a firm grasp of each concept. The Roth IRA funding rules mandate you use a specific type of income to make Roth IRA contributions. In order to fund your Roth IRA, you must have "compensation." So what's "compensation"? "Generally, compensation is what you earn from working." So generally speaking, if you don't "work" to earn it, it doesn't count as "compensation" in the eyes of the IRS. For example, let's say you have a business partnership selling produce on the side of the road. You grow the produce in your garden, and spend weekends at harvest time manning your roadside produce stand. Under the Roth IRA funding rules, as long as you file taxes claiming your business income ("under the table" income can't be used for Roth IRA contributions), then you're eligible to use income from your business partnership to make a Roth IRA contribution. Because you "worked" for it. But what if you have a business partnership where you don't work? For instance, let's say you provided your daughter with seed money to start a business, and as a result, you get annual profits from the business. Can you use these profits to make a Roth IRA contribution? Not unless you "work" to generate profits for the business. "Income from a partnership for which you do not provide services that are a material income-producing factor." So unless you're performing services or "work" which generate income, you can't use that income to make a Roth IRA contribution. Assuming you have eligible compensation, the Roth IRA funding rules state that you can't contribute more than you generate in eligible compensation. For example, if you're 16 years old and you generate $1,500 in eligible compensation, you can make a Roth IRA contribution of any amount up to and equal to $1,500. But you can't contribute more. If you contribute $1,501 or more, then you've made an excess Roth IRA contribution. Also keep in mind that although you may earn a certain amount of compensation, you can't necessarily contribute all of it, because you first have to pay taxes. The Roth IRA funding rules also require you to make Roth IRA contributions with after-tax dollars. Unlike contributions to other tax-sheltered retirement accounts, such as your 401k, Traditional IRA, or 403b, contributions to a Roth IRA are NOT tax deductible. So you realize no immediate tax benefit as a result of funding your Roth IRA. However, in the long-term, you receive enormous tax benefits. Because under the Roth IRA withdrawal rules, you can withdraw most funds from your account tax-free and penalty-free after age 59 ½. For example, let's say you're 25 years old, earn $25,000, and you're in the 10% tax bracket. If you contribute $5,000 to a tax-deductible Traditional IRA, you end up with $5,000 in your IRA and $18,000 in take home pay ($25,000 - $5,000 * 10%). On the flip side, if you contribute $5,000 to a non-deductible Roth IRA, you end up with $5,000 in your Roth and $17,500 in take home pay ($25,000 * 10% - $5,000). While you end up with an extra $500 in your pocket today as a result of making a tax deductible Traditional IRA contribution, you may not end up with more in your pocket tomorrow. Remember, withdrawals from your Traditional IRA are fully taxable in retirement. What if your tax rate in retirement is 20% or 30% instead of the 10% you're paying now? With a Roth IRA contribution, it doesn't matter - your retirement withdrawals are tax-free! The Roth IRA funding rules also limit the amount you can contribute to your Roth IRA in any given tax year. Assuming your annual income falls below the lower-level range established by the Roth IRA income limits, you're eligible to make the maximum Roth IRA contribution. So what is the maximum annual Roth IRA contribution? The extra $1,000 for those 50 years old and older is considered a "catch-up" contribution for those nearing retirement. For instance, let's say you earn $57,000 per year, and you want to make the maximum annual contribution to your Roth IRA. If you're 43 years old, you can contribute $5,000. But if you're 53 years old, you can contribute $5,000 plus an extra $1,000 catch-up contribution for a grand total of $6,000. Before you open and fund your Roth IRA, you need to know and understand the Roth IRA funding rules. Commit these key points to memory, and you'll know just about everything you need to know about the funding rules for your Roth IRA.